We create tailored design solutions based on the needs of a project and client. Arrowstreet brings unique, tailored design features to our projects. We have researched, tested and created unique partnerships with material fabricators that are at the forefront of innovation. From kinetic works of art to custom soffits that connect the old and new to exploring the potential of properties inherent in materials, we take fabrication research from ideation to design to installation. Arrowstreet recently completed a kinetic façade—an innovative and beautiful skin for the Central Parking Expansion at Logan Airport. Click the image above to learn more. 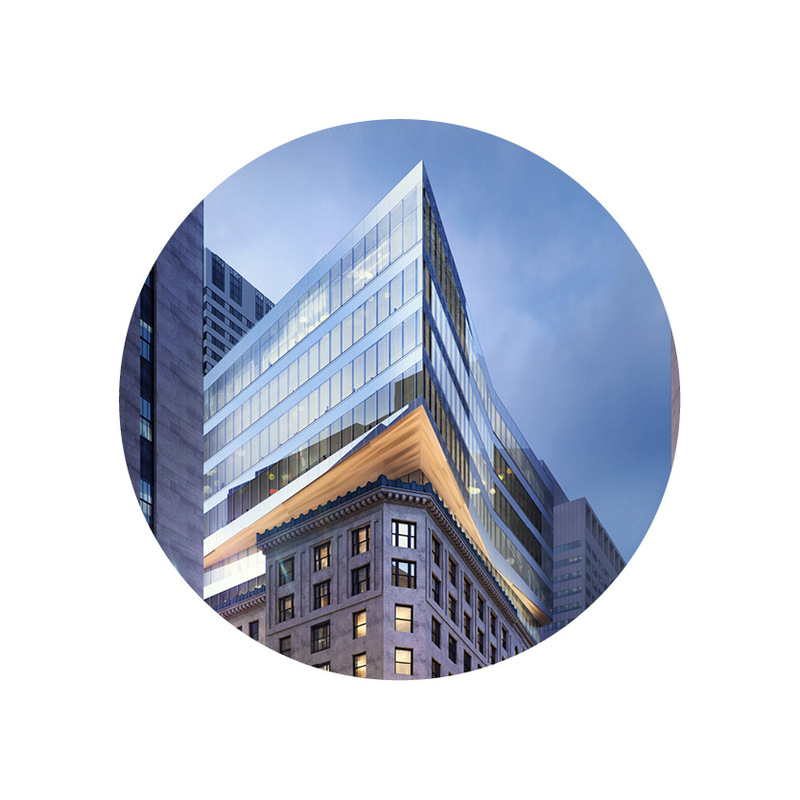 Connecting a historic downtown building with a modern, innovative addition through the use of a custom soffit. Click on the image above to learn more. Exploring ways to improve upon traditional construction and fabrication methods to create unfamiliar configurations and designs. Click the image above to learn more. In this fabrication study, the final form is created through multiple reflections of developable surfaces generated from parts of a cylinder or cone. This form allows a designer to develop a curved form from single, flat pieces.